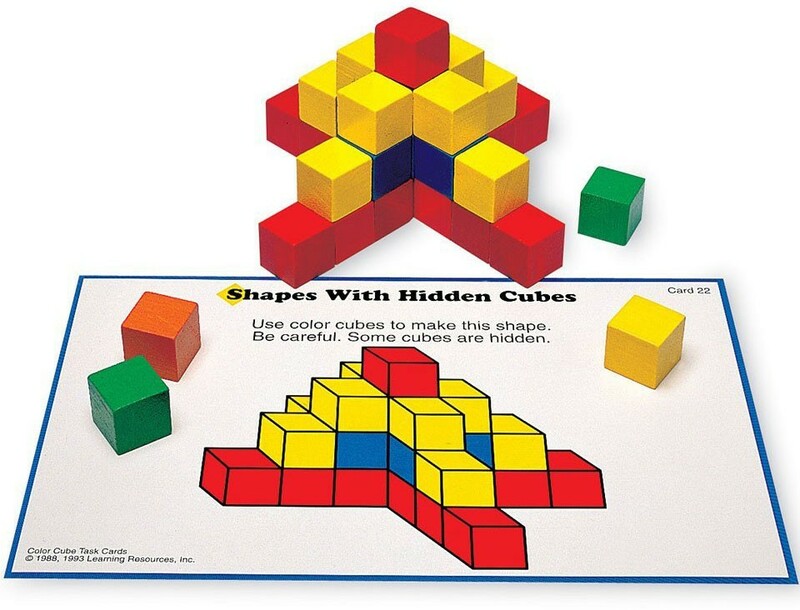 This Learning Resources creative activity set of 100 wooden color cubes helps develop spatial reasoning, visualization and math skills. 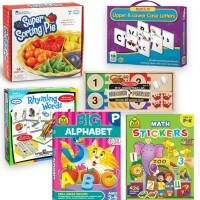 This colorful set of cubes is a 3D puzzle, a spatial thinking developmental toy, manipulative skills toy, problem solving game, and fun brain teaser for children - all in one box! 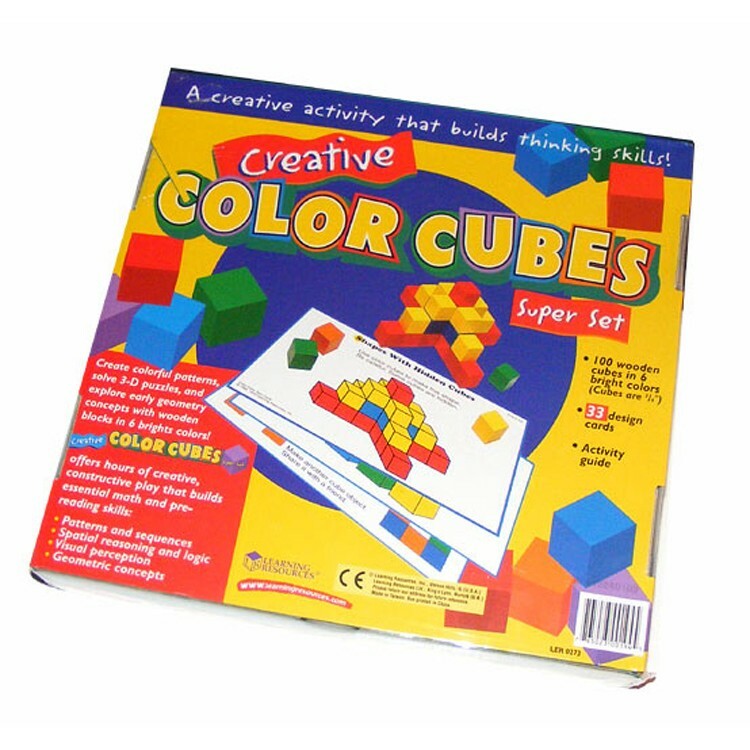 Creative Color Cubes Spatial Thinking Learning Activity Set is one of school bestsellers that help kids understanding basic math concepts and improve 3D visual perception. 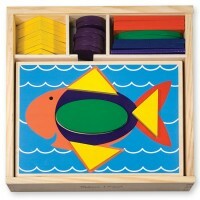 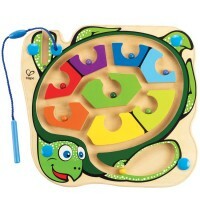 This math learning toy by Learning Resources includes 100 wooden cubes in 6 colors, 18 activity cards, and activity guide. 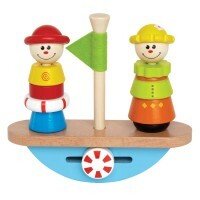 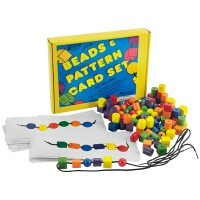 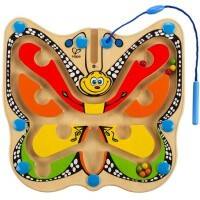 Children will have educational fun matching the cubes to the 3D patterns and designs presented on the activity cards. 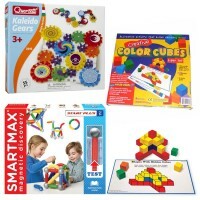 The Creative Color Cubes Spatial Thinking Learning Activity Set develop visualization and bring self-satisfaction when the kids solve the 3D pattern puzzle. 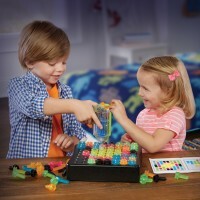 Great teaching tool for home or classroom, the Creative Color Cubes from Educational Toys Planet will entertain and teach the kids of different ages and learning abilities. 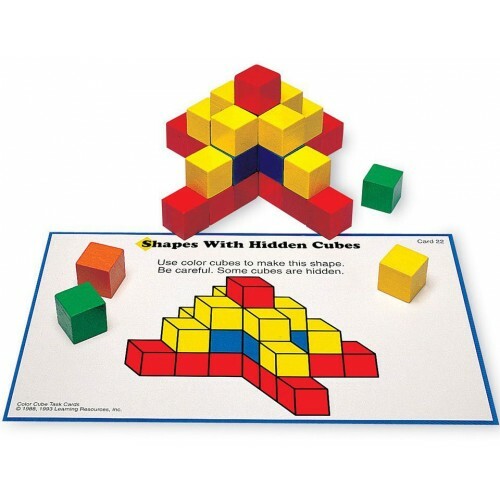 Dimensions of package 5.2" x 9.3" x 1.7"
Write your own review of Creative Color Cubes Spatial Thinking Learning Activity Set.